Michael Murphy will roll back his college footballing days this year, but in a completely different manner to how the Donegal man used to do so for DCU. Murphy takes the reigns as manager of LYIT tomorrow for the very first time in their opening League game against Coleraine. DCU romped to success beating NUIM by 16 points in the final. In the same year, Murphy won an All-Ireland Championship as Donegal captain, scoring a memorable goal in the final to sink Mayo hearts – a goal that that required immense physique and skill, on the biggest stage of all. 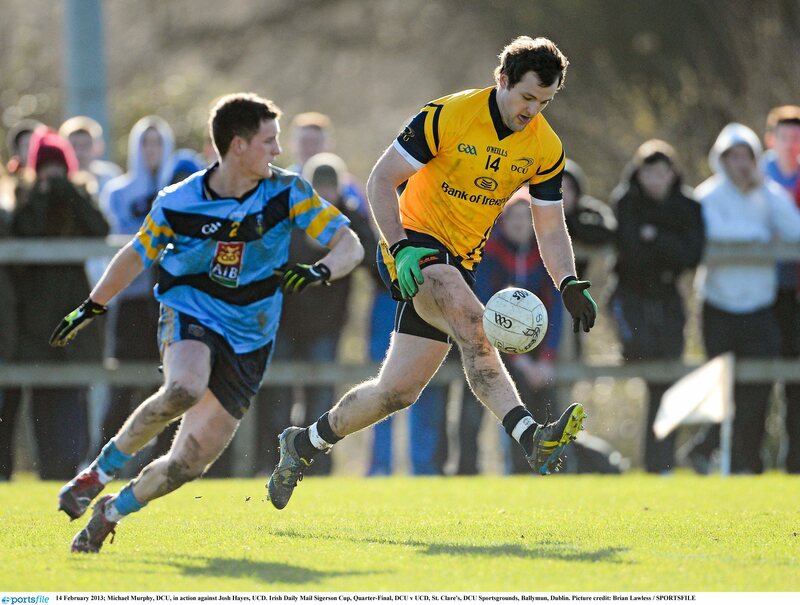 Murphy had many great outings for the amber and navy of DCU, most notably flicking the ball over the head of a despairing Rory O’Carroll before unleashing an outrageous outside of the boot effort against UCD in 2013 – an effort that went viral across the country. During his time at DCU, Murphy studied Physical Education and Biology, graduating from the degree in 2013, and since then, the 28 year-old has gone on to achieve many things in the line of business as well as sport. In conjunction with teammate Neil Gallagher, Murphy opened his own sports store “Michael Murphy Sports and Leisure” in Letterkenny in August 2014. The shop is also the current sponsors of the Donegal Senior Championship, which Murphy and his club Glenswilly won last year. The Donegal man has put his degree to use in many ways and will add to that this year as he takes up a post in LYIT as a lecturer. It will also be Murphy’s first involvement in senior management, something he eagerly looks forward to. “It’s a challenge for myself and it’s a huge opportunity to push myself forward and to try and get a hell of a lot of learning and experience”, he said. Murphy, a self-obsessed lover of football admitted that he has put a lot of thought into management in the past. “I hope now to be very willing to learn and to put my ideas forward and to communicate and speak to everyone here for the betterment of the team”, Murphy stated. There will be no return to DCU for Michael Murphy this year as his side will be in Division 2 of the League and will be competing in the Trench Cup – although this statement could be changed in a year’s time if Murphy guides his side to glory.